Designed to hold several plants at a time. 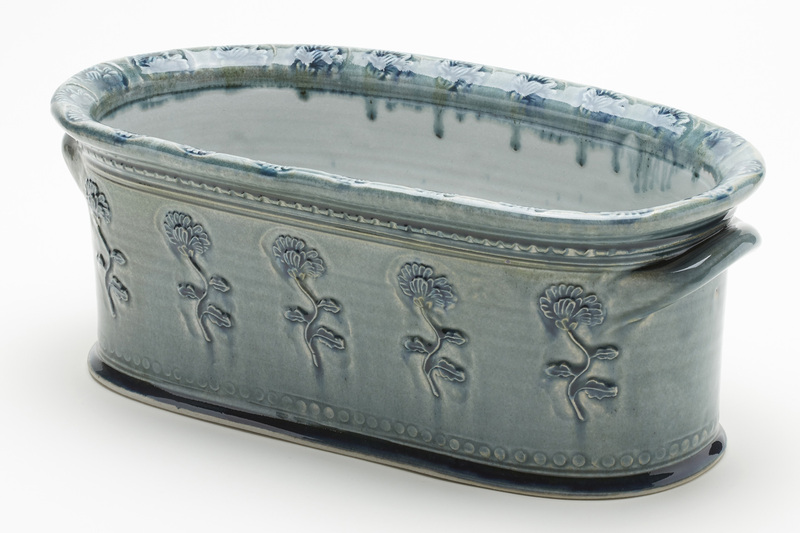 The large Plant Trough can look magnificent on a windowsill with 2 or 3 lovely plants in it. 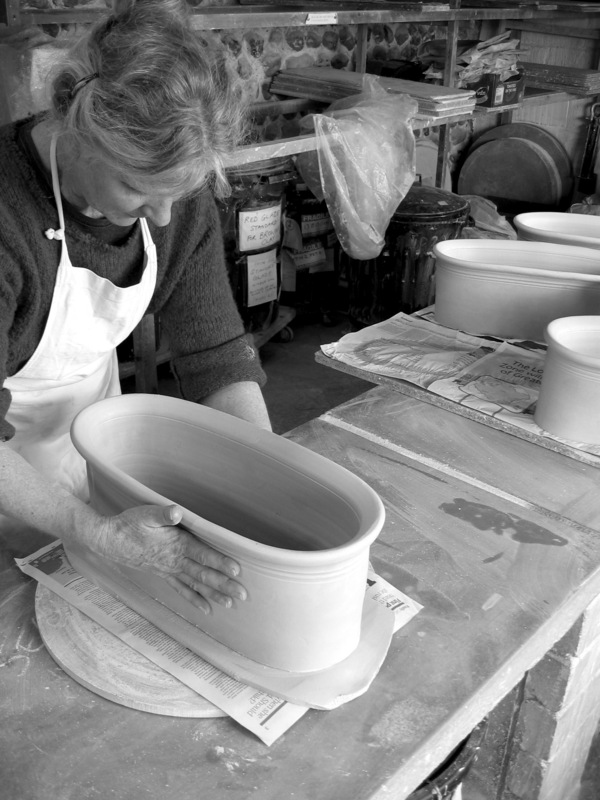 The pot is thrown as a round shape, it is squashed into an oval and joined onto a separate flat base. The sprigs and stamps give it an elegant William Morris look. This substantial pot has handles either end. 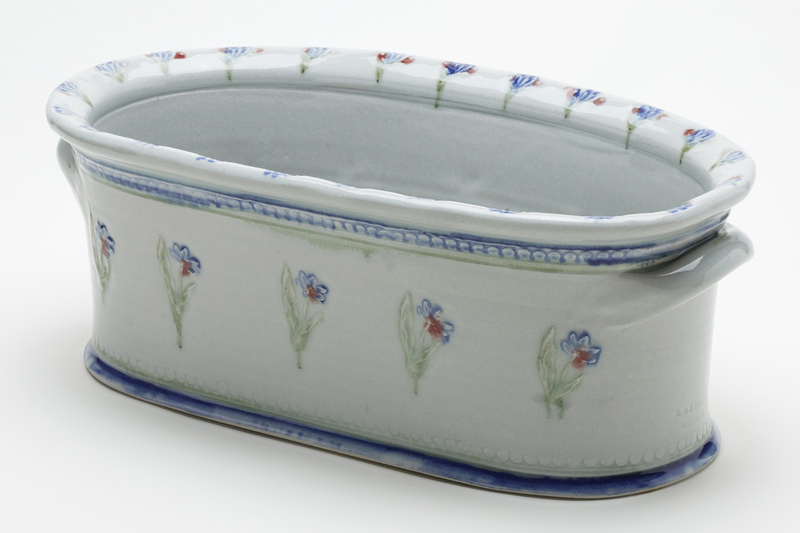 The smaller version of the Plant Trough is just right for a couple of fresh herb plants and does not have handles. It must be emphasised that A & J Young is a very small enterprise. 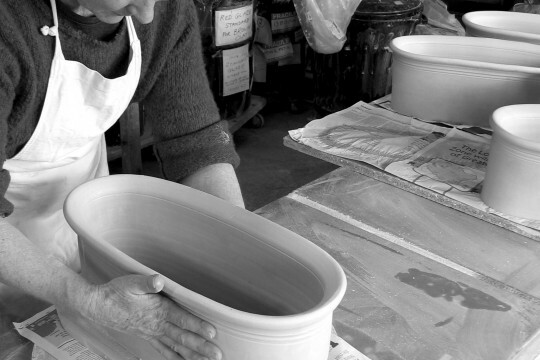 The hand making process means that every pot will have its own idiosyncrasies. Small impurities in the clay, variations in the glaze colour and some crazing in the glaze are all part of the character of an individual pot and will not affect their function. 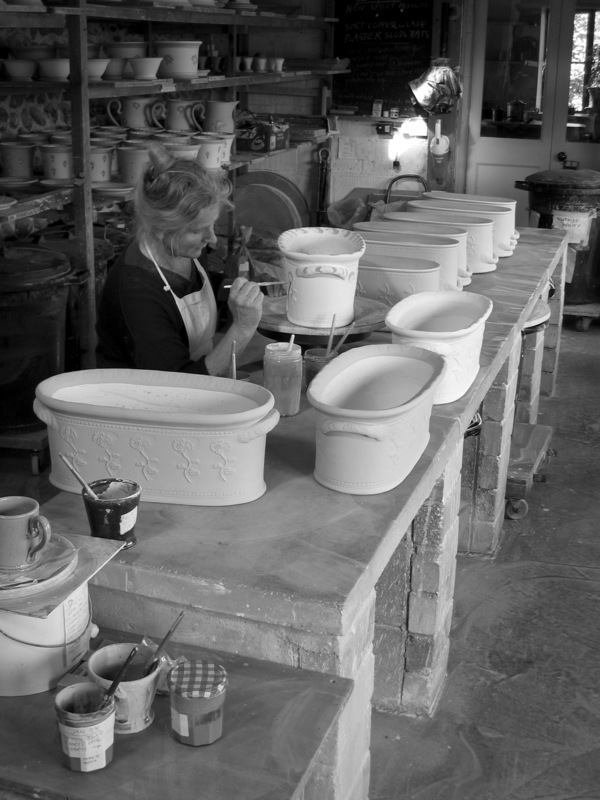 Please note that small variations may be noted between the photographs on our website and the pots you receive. An almost clear glaze with some tin added to make the glaze slightly opaque. The painted colours show up very brightly on this glaze. A fresh blue which can vary a little in different parts of the kiln. 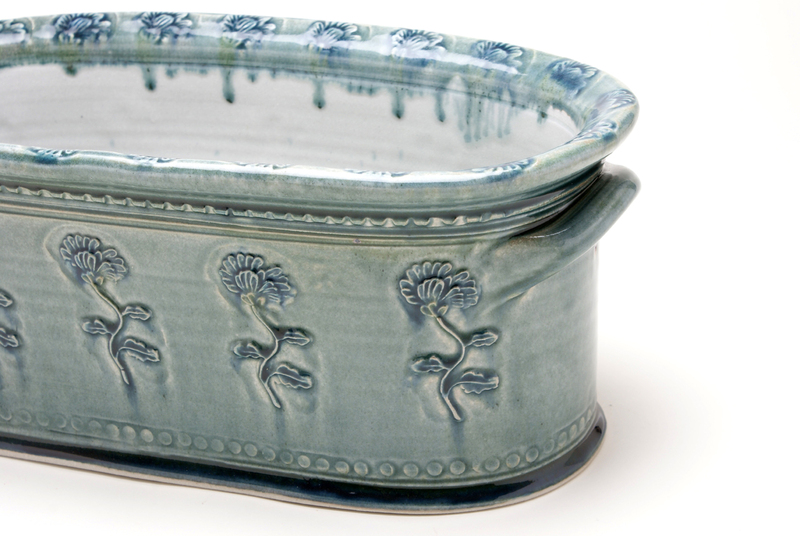 Stamps impressed into the clay show particularly well through this glaze and details are picked out in darker blue. 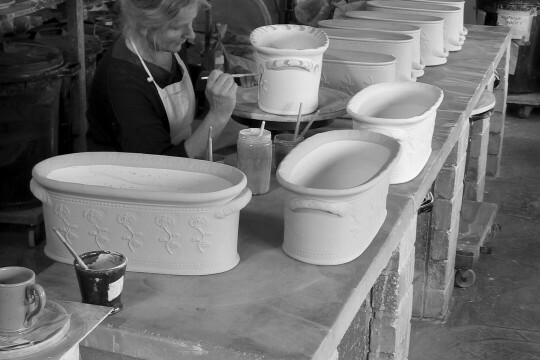 Email us at info@youngpottery.co.uk and we'll be happy to help with any query you may have. Last pots post – Joanna and Andrew Young retire. ©2019 A & J Young Pottery. All rights reserved. 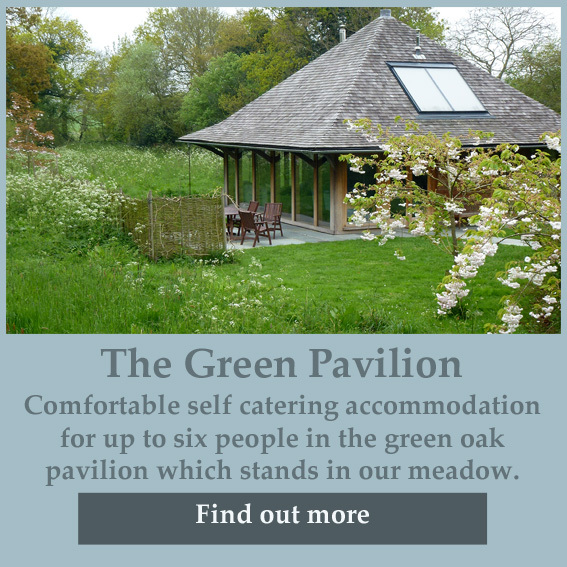 Common Farm, Sustead Road, Lower Gresham, Norwich, NR11 8RE · Designed & Built by Paul Kirk Design.